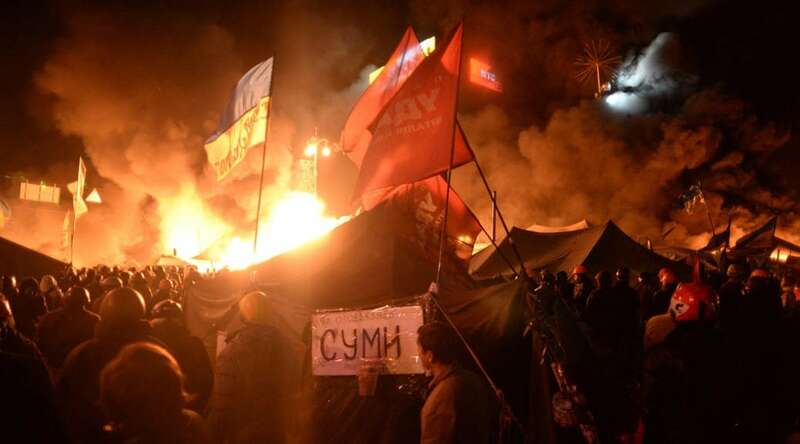 The crisis in Ukraine, which started in November 2013, rapidly became a war. This page is an evolving table of content for our ongoing strategic foresight and warning analysis of crisis, conflict and war in Ukraine. Our twin aim is to provide, first, in-depth Strategic Foresight & Warning analysis on the war in Ukraine, starting with identifying and presenting the actors, and second a methodological reflection on the challenges met during the analysis and ways forward to solve them, which should be useful for all complex crises. As a brief introduction, the war in Ukraine is a complex war, in as much as it encompasses various multi-dimensional phenomena, classical ones but also novel or relatively surprising ones, compared with what was generally thought of as possible or probable for the future. In terms of Strategic Foresight and Warning methodology, the war in Ukraine is definitely a challenge in various ways. Notably, the conflict being young, the situation is quite fluid and we thus need in the same time to conduct a proper analysis for foresight and warning, while keeping abreast of rapidly evolving developments. Then, there is a high international involvement as well as polarization which makes it difficult to study the situation objectively. Finally, the potential impacts are important, multi-dimensional and far-reaching, but may actualize on very different timeframes (see section below “International environment and world order”). Conflict in Ukraine – The Far-Right (3): Parties and Battalions, by Helene Lavoix, 17 November 2014. Conflict in Ukraine – The Far-Right (2): Demise or Metamorphosis? by Helene Lavoix, 10 November 2014. Ultra-Nationalism and the Far Right in Ukraine (1): Victims and Heroes, by Helene Lavoix, 20 October 2014. War in Ukraine: Hope, Outrage and Fortitude – The Separatists (2), by Helene Lavoix, 7 July 2014; updated 10 July 2014. War and Peace in Ukraine: The Separatists (1), by Helene Lavoix, 30 June 2014. Conflict in Ukraine – State of Play – The Oligarchs, by Helene Lavoix, 13 June 2014. Conflict in Ukraine – State of Play – The Oligarchic System, by Helene Lavoix, 2 June 2014. Fighting Wars of Narratives, from AQ to IS, Ukraine and Russia – The Red (Team) Analysis Weekly 178, by Helene Lavoix, 13 November 2014. An Isolated Russia? Think Again! by Helene Lavoix, 15 September 2014. Narratives at War: EU-US vs Russia vs Crowdsourced? – The Red (Team) Analysis Weekly 155, by Helene Lavoix, 5 June 2014. War and Weak Signals – The Red (Team) Analysis Weekly 149, by Helene Lavoix, 24 April 2014. A strange bipolar world? – The Red (Team) Analysis Weekly 148, by Helene Lavoix, 17 April 2014. A case study in escalation: NATO, the U.S. and Russia – The Red (Team) Analysis Weekly 146, by Helene Lavoix, 3 April 2014. Risks on the US Dollar Supremacy? – The Red (Team) Analysis Weekly 145, by Helene Lavoix, 27 March 2014. Towards a 19th Century Order? – The Red (Team) Analysis Weekly 143, by Helene Lavoix, 13 March 2014. Beyond Ukraine, towards Change in the World Order? – The Red (Team) Analysis Weekly 142, by Helene Lavoix, 6 March 2014. Also available to registered users for the online course. Actors and Factors In Future Threats Analysis (3) – The Crisis in Ukraine, by Helene Lavoix, 21 April 2014. Actors Labelling and Factors In Future Threats Analysis (2) – The Crisis in Ukraine, by Helene Lavoix, 21 April 2014. Actors and Factors In Future Security Threats Analysis (1) – the Crisis in Ukraine, by Helene Lavoix, 21 April 2014. Image from Military Maps: Crowdsourced Map for 27 June – The application Military Maps was developed on the Russian social network Vkontakte (read “Crowdsourcing Ukraine’s Rebellion“, Global Voices, 4 May 2014). The app on VK coud initially be accessed here (no need to login), and the page of the group here. The map on Ukraine has now (20 June) moved to FB and can be accessed here. The page of Military Maps can be found here.